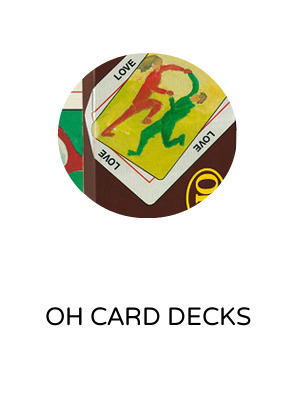 We carry the original OH Cards and all of the additional decks and reading materials. These beautifully illustrated decks of cards can inspire creativity, build bonds of communication, and illuminate inner truths for people of all ages. Use the individual decks or combine them for even deeper experiences.